I don’t want to be without you even for a single day. From the day I met you, I always wanted to be with you. 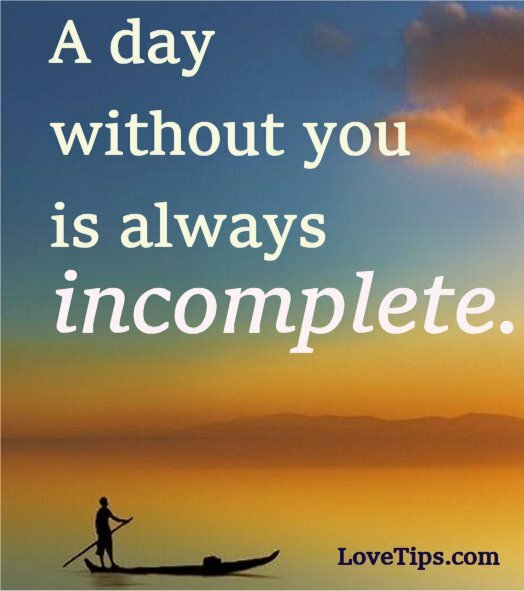 Now, a day without you would be inconceivable to me. My dear, on this day without you, my heart longs to see you again. You give me the kind of feeling others write novels about. You are all that I am and even a day without your presence would be too much to bear.